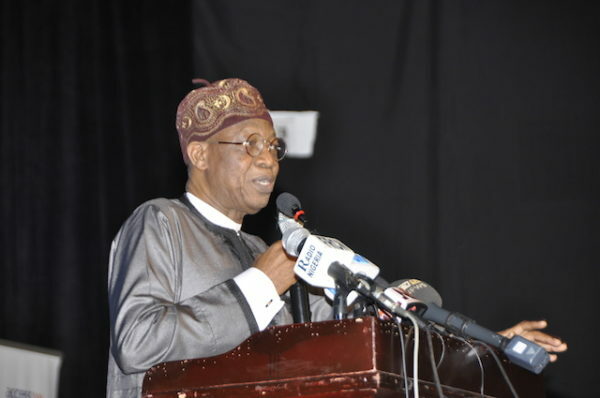 Lai Mohammed says the Economic and Financial Crimes Commission (EFFC) under President Muhammadu Buhari has so far recovered over N540 billion through the Whistleblower Policy. The Minister disclosed this on Tuesday, November 27, 2018, at the 71st General Assembly of the Broadcasting Organisations of Nigeria (BON) in Port Harcourt, Rivers State. Mohammed, who was represented by the ministry’s director, Public Relations and Protocol, Sunny Adejoh Baba, said the EFCC also successfully launched a “major onslaught on the seeming high–and–mighty” in the society, including senior military officer and their civilian accomplices, “who had soiled their hands with shady deals”, leading to the recovery of choice assets across the country. He enjoined the media to align itself with the policies and programmes of the Muhammadu Buhari administration, aimed at ridding the country of the cancer of corruption, in order to free funds for development projects, which will uplift the standard of living of the citizenry. Mohammed, who said the BON General Assembly is taking place at an auspicious time in view of the forthcoming general elections, charged the broadcasting organizations not to yield their platforms to the purveyors of hate speech and fake news.